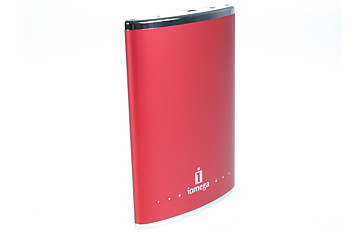 The chic Iomega eGo portable hard drive ($140) holds 160 GBup to 640,000 photos, say, or 2,900 hours of music. Simply plug it into a USB port, then drag and drop files to copy them over. Should it fall off your desk, the shock-absorbing case will keep its precious contents safe.